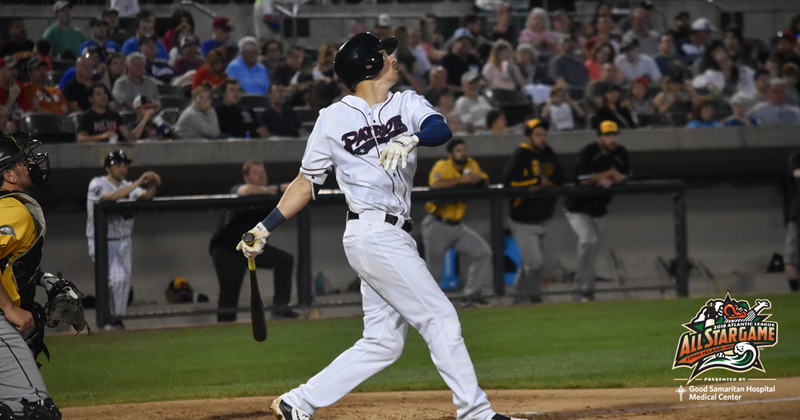 Bridgewater, NJ - In his first season with the Somerset Patriots and first in the Atlantic League, Mike Fransoso will be making an appearance at the 2018 Atlantic League All-Star Game hosted by the Long Island Ducks at Bethpage Ballpark. This season, Fransoso holds a .313 batting average along with two home runs and 26 RBI over 61 games played. He has a .411 on-base percentage which ranks fifth in the league, ranks third in triples (4), eighth in walks (31), and ninth in batting and runs (35). With the first half wrapped up and a playoff spot clinched, Fransoso’s objective is to keep playing strong. “We’re trying to have fun but still win ballgames, trying to prepare for the playoffs. You can’t just turn it on with two weeks left. You got to continue to do what you do and win ballgames,” said Fransoso. In his previous two seasons with the Rockland Boulders in the Can-Am League, the left-handed hitting utility player finished second on the team in batting in 2016 with a .291 average along with six home runs, 43 RBI and a .395 on-base percentage (OBP) over 86 games. Fransoso followed that up with a strong season last year in which he batted .272 with four home runs, 38 RBI and a career-high .406 OBP. In regard to his versatility, Fransoso considers it a big asset to any club.